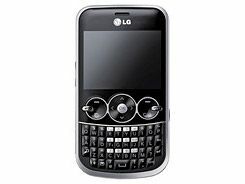 LG has officially announced its GW300 official in the UK, a budget QWERTY mobile phone designed to bring social networking to the masses. The new phone, which we brought you news of as the Viewty GW300 in France earlier this month, will be coming on O2 and Orange in the UK, with the former getting it in blue, and the latter in 'vibrant red' (we bet it looks a little bit orange). It's not the most feature-rich phone LG has ever brought out, with a 2MP camera and a 2.4-inch QVGA screen not likely to set any pulses racing. There's a 3.5mm headphone jack, and memory is expandable to 4GB via microSD card. A 900mAh battery means you're probably not going to be able to hammer the LG GW300 without needing to charge up regularly either. Facebook is well supported on the new phone, with a designated application allowing you to update your (and see others') status. It also brings LG's new LiveSquare offering, which lets you store all your friends as avatars on the home screen. "It didn't come as a surprise last week that Facebook announced its user number now totals 300 million, as the mobile industry is continuing to experience consumer demand for social networking focused devices," says Jeremy Newing, head of marketing for LG Mobile in the UK and Ireland. "The new LG GW300 maintains LG's dedication to bringing innovative social networking handsets to the market as they increasingly become the central communication point for avid social network users." It's available now on Play.com for only £99.99, which means it will almost certainly free if it's offered on contract.